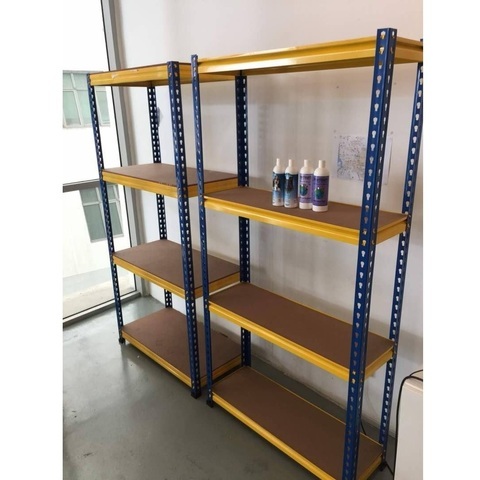 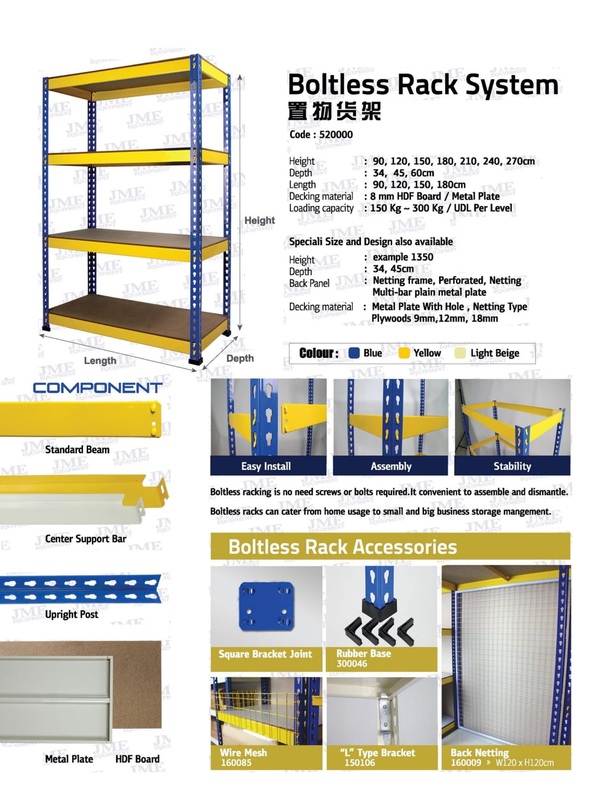 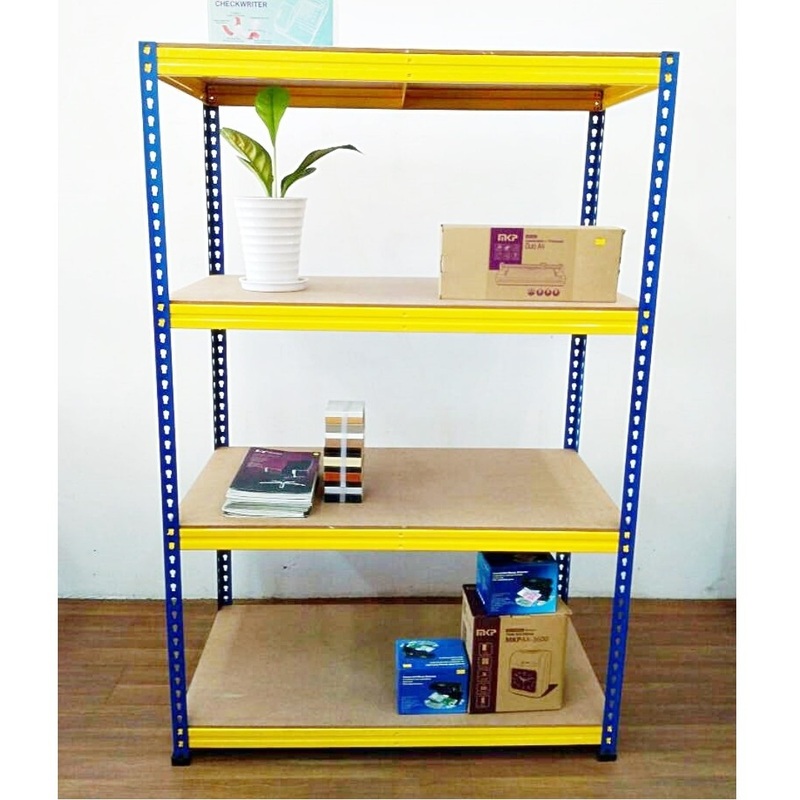 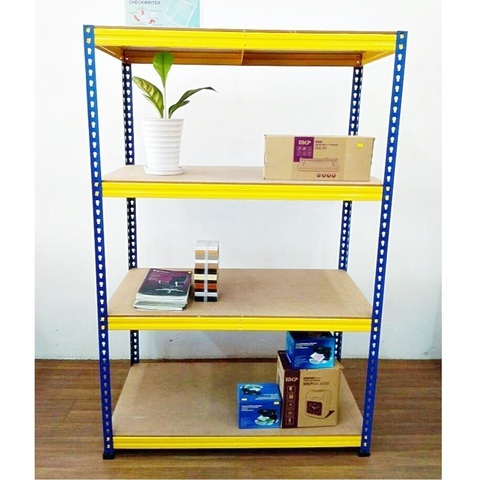 MY Professional Boltless Rack Storage System..
.Suitable usage for home, office, retail shops, warehouse, etc. 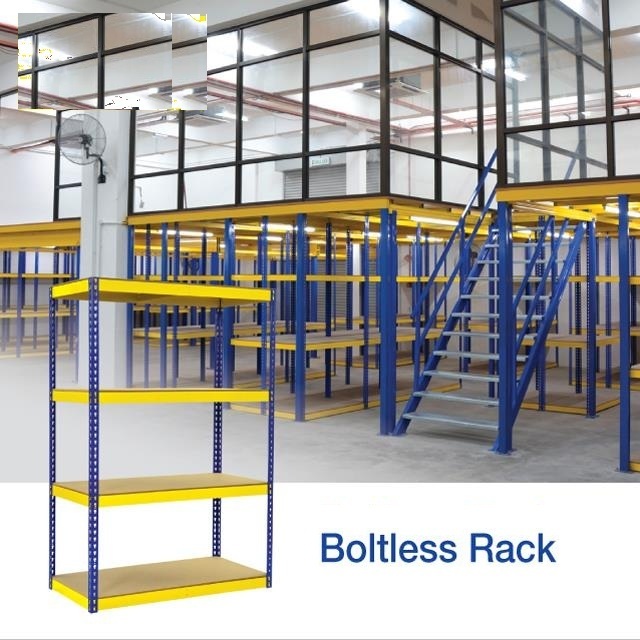 .The Boltless Rack minimizes setup time and offers a vast selection of heavy to light racking system requirements. 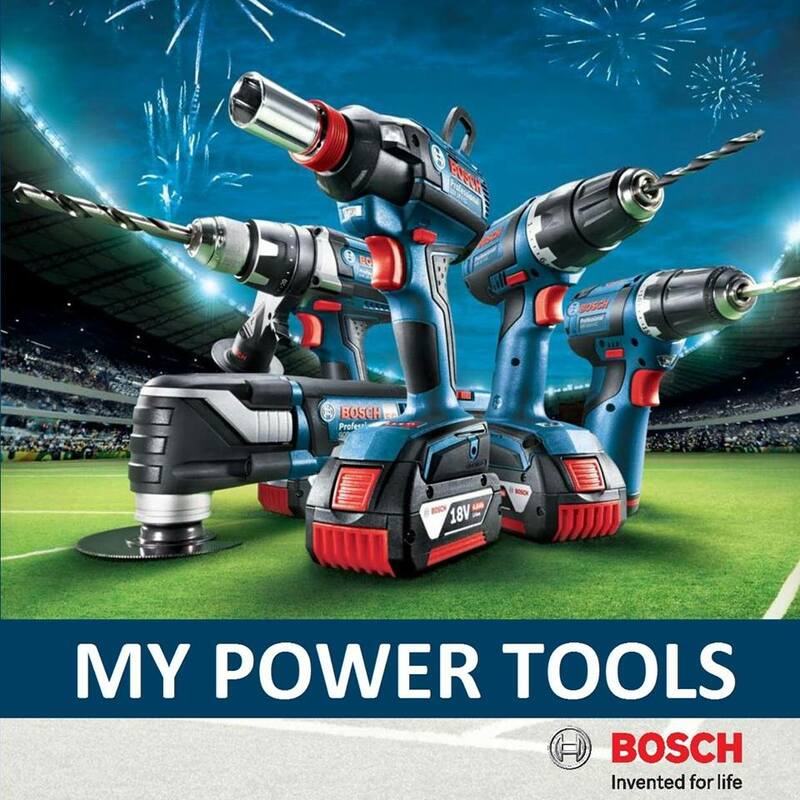 .Easy and fast to install and dismantle without tooling, bolt & nut. 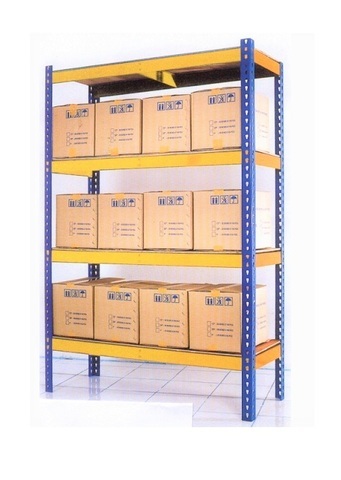 .Boltless Rack can be applied to existing racking systems for increased cost savings in warehouse storage systems. 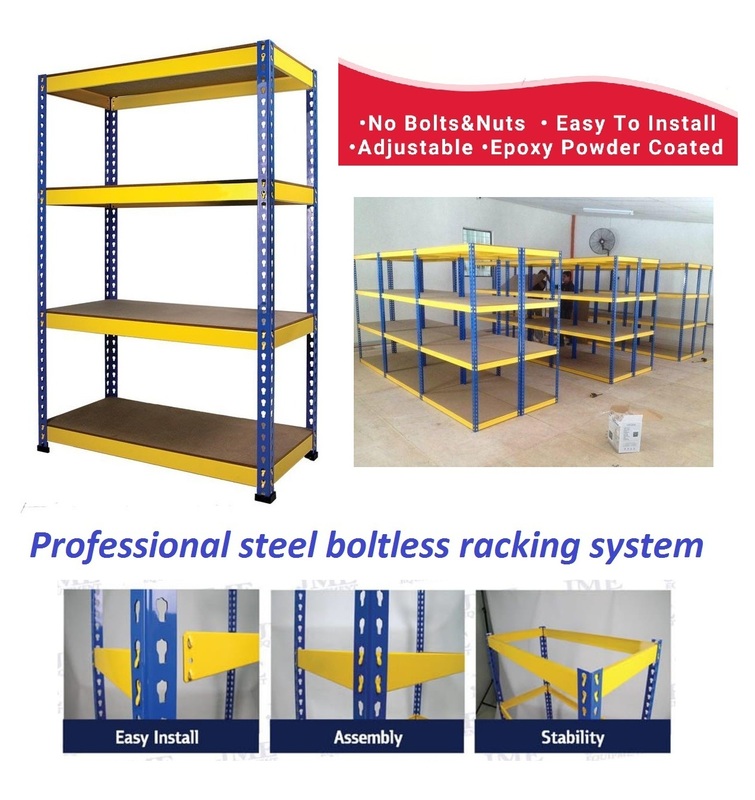 ..(MY Professional Boltless Racking System)..